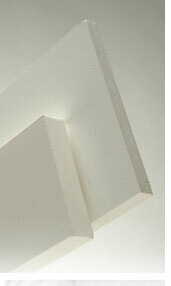 First Line Sales manufactures ABS copolymer products for the building industry. These ABS sheets are heat formed into one piece products such as roofs for bow and bay windows, awnings for doors and windows, garage door transoms, and other products. We have now added AZEK® TRIMBOARDS to our lines and offer custom fabrication and heat forming of AZEK® TRIMBOARD products. 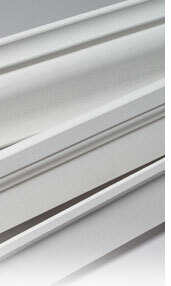 These quality cellular PVC products are impervious to insects and moisture. 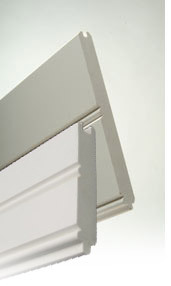 They will not cup, split, twist or rot and do not require paint for protection. 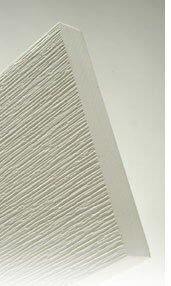 We feel this is a good addition to our low maintenance line of building products.